Under our AER policy, deliberate teaching of appropriate, subject-specific documentation rules and techniques is more and more important. Since now catching cases of plagiarism will result in a re-do of the assignment, rather than a simple zero-grade, helping students to make the right choice from the get-go will make our lives easier! We want to provide you with more familiarity with the tools we already have available. It is an approach which focuses on teaching what is appropriate and why, and helping students to recognize and correct issues during the drafting process, rather than policing offenders. Assume that students entering high school do NOT have a sophisticated understanding of plagiarism. Most have only a very rudimentary understanding of it as copying another student’s work. Therefore we must incorporate instruction on plagiarism into research units. We need to understand why students plagiarise. We must deliberately teach them what must be documented, and how to document correctly. We must design assesments that do not encourage “Copy-Paste” responses, and that encourage them to use sources which do not encourage cheating as readily. Incorporate process into assignment–Turn-It-In can be a developmental tool to help students understand where they may be plagiarising, even unintentially. We must explicitly incorporate evaluation of research notes and documentation into assignment rubrics to emphasize the importance of this skill. We can help our students make the right choices by teaching them to use the tools already available to them (such as the research notetaking templates). We can help our students make the right choices by teaching them about the utilities built into the Virtual Library databases. Collaborate with your teacher-librarian in design of assessments, and instruction into research-inquiry, notetaking, and documentation skills, to set students up for success. There are some excellent interactive activities already available online to help students understand what plagiarism is, and how to avoid it. This tutorial from Acadia University is engaging as well as informative. By the end of it, students should have a firm grasp of what constitutes plagiarism. You can have your students complete the tutorial and then sign off that they have completed it and understand what plagiarism is, and what the consequences of plagiarism infractions will be. I like to have students complete an exit ticket on this activity so that I have a record of their participation and understanding. It allows me to track elements that may need more explicit instruction, and also to make students take informed accountability for their work. Here is a sample response form made in Google Docs–you could also do this as a paper exit slip. We have a variety of research and bibliography templates already printed off for student use in the library. 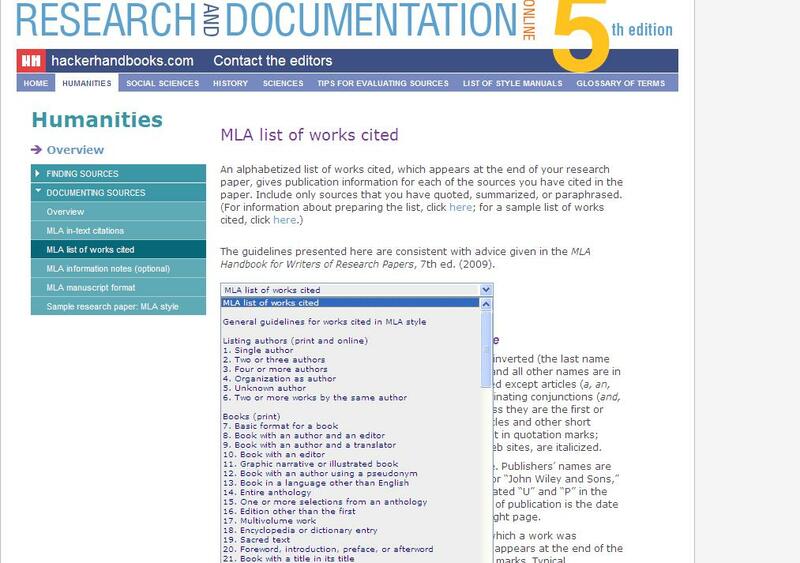 They are source-specific, and follow the MLA referencing format. These templates are also available online in the Library Learning Commons, as well as templates using other subject-specific referencing formats such as APA citation. When students are encouraged to use these research forms to record their information, they readily have the bibliographic information they need available when it comes time to provide documentation for a source. Students should be encouraged to use the Virtual Library databases when conducting research–these databases can be accessed through the new integrated Library Learning Commons (LLC) search page. While it is not always effective for all topics, the information students will find here has generally been drawn from better quality sources than the ones they will find “googling” on their own. In addition to the quality of the information found in the databases, they also include a number of tools which allow students to track their research more easily, and to generate correctly formatted citations. Remember that the database passwords are embedded in the network, so students are automatically granted access when using a networked computer. If they are using the WiFi, or accessing the databases from home, they must enter the password to gain access. With the new Insignia system, if they log in using their network ID and password from the LLC home page they will be ready to search! The collections in the Virtual Library databases are provided by two main companies: EBSCO and Gale. The first time you ask students to use the databases, you should require them to create a user account in each. Anytime they go to do research in the databases, they should be logging in. This will allow them to save the good articles they find to their own research folder in the database. Please note: you cannot simply tell them to bookmark the article. The URLs for the article are search-session specific, so the bookmark they create will not take them back to the article they found. Please take the time to create your own accounts now so that you can explore these features. Open the Virtual Library Page in a new tab so you can still see this page. From the EBSOhost and GalePowerSearch buttons on the LLC page, select Advanced Placement Source to make an EBSCO account and Global Issues in Context to make a Gale Account. One advantage of using the Virtual Library databases is that they will actually provide a properly formatted bibliographic entry for your students! Once your students have found a good article for their topic, they can quickly find the correct way to format their bibliographic entry right in the database. In the right hand toolbar, one of the options is “Cite” and another is “Add to Folder”. Clicking on “Add to Folder” will allow them to save the article for future reference, and clicking on “Cite” will bring them to a page where they can select the correct bibliographic entry for the citation method you have instructed them to use. Here is an example of the bibliographic options they will see. The most common one used at Southwood is MLA. The bibliographic citation for articles in the Gale databases can be found at the end of the article. To save articles found using a Gale search, saving from the search list will place the articles in the student’s saved folder. Students will often want to use bibliography generators such as OneNote or Son of Citation Machine. Students should exercise caution in using these tools. They often ask for information which is not present in the sources students have used, and as a result students enter the wrong material or the citation generator creates anincorrectly formatted list. Written and maintained by Diana Hacker and Barbara Fister (the authors of theChicago Manual of Style) it offers comprehensive examples of citation and bibliographic formatting for a wide variety of sources in the major documentation formats used by most disciplines, as well as guidance on the research process. Spend some time playing around with the databases which relate to your subject area. One of the best ways to help your studetns use these tools effectively is to be as familiar as possible with their features yourself. We tend to think of Turn-It-In as a way we can check students’ final drafts before we grade them. However, you can also set up a draft submission for your students where they can see an originality report that will warn them of potential issues, and where you can have peer editing and virtual conferencing occur during process work. Requiring students to integrate this step into their process work leaves them without the excuse that they did not know it was plagiarism! Looking at the report on this draft of a paper on plagiarism, the student can easily see that they have major issues to fix before this paper is anywhere close to being ready for submission. Now with our GAfE service, you can also have your students share their papers during the draft process. One of the features in GoogleApps allows you to view the changes and edits made to a document, so you can check to see who is making changes, and whether content is simply being pasted in from other sources with minor changes.